Welcome to the cottage and our first meal plan of 2017. Cold weather has arrived here at the cottage, we have not had a snowfall yet but it will come anyday. When it gets this cold I think of comfort meals and baking in the oven that keeps the kitchen cozy. I love to use the root vegetables from our garden that we have stored in our cold bins. We also use our canned vegetables that we worked hard to can last summer, it is always good when the snow is on the ground. Come on in and have a cup of hot cocoa with me while we plan this meal plan. Hope you are staying warm and cozy in this cold weather. Thanks so much for stopping by today to spend some time with us, we always look forward to your visits. Have a fantastic week and come back to see us real soon! I printed that Bundt cake recipe and the Texas Mud Pie. The most important part of the meal is desert! Oh the Brussels sprouts & pears sound good, and I'd like a slice of spicy vanilla bundt cake too please! 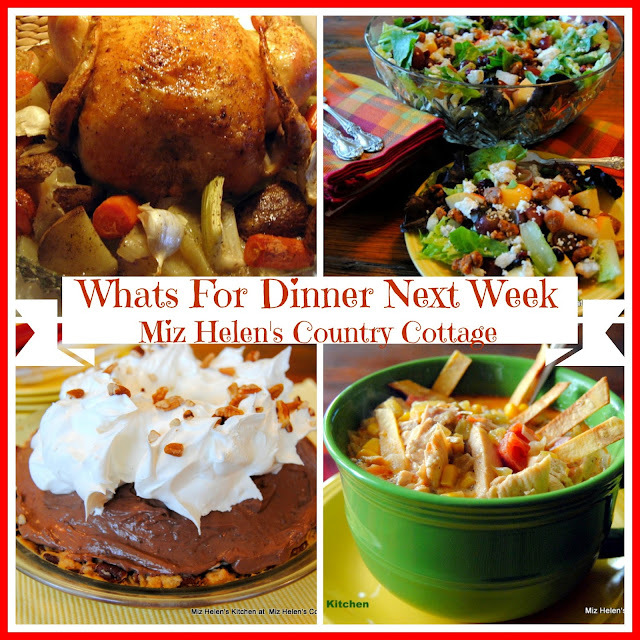 You ae going to have a delicious week Miz Helen! We are having cold weather here in England too, Miz Helen, and I always love spending time in the kitchen in cold weather! Your menu plan looks delicious - love the Spicy Vanilla Bundt Cake. Pinned this post to my menu planning board on Pinterest. Thank you for sharing with Hearth and Soul. Have a lovely weekend! 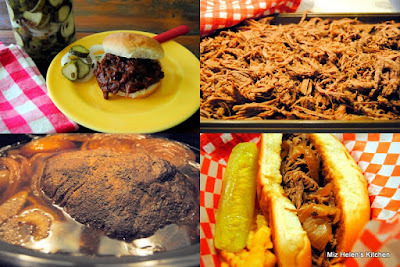 That shredded beef looks delicious and I'm always up for a tasty dessert! Thanks for sharing your meal plan with us at Merry Monday!